Ayushmann In Meri Pyaari Bindu Is As Hot As... Fawad Khan!! We are totally obsessed with Fawad Khan and we just can’t get enough of him. Yes, we can watch him all day long! But now he has some tough competition, and it’s Ayushmann Khurrana!! In his “novelist” character, he is almost as hot as Fawad, and we think we’ve found our new crush. We were already in love with his voice and now we’re falling in love with his new avatar in “Meri Pyaari Bindu”. Is it really hard to believe? 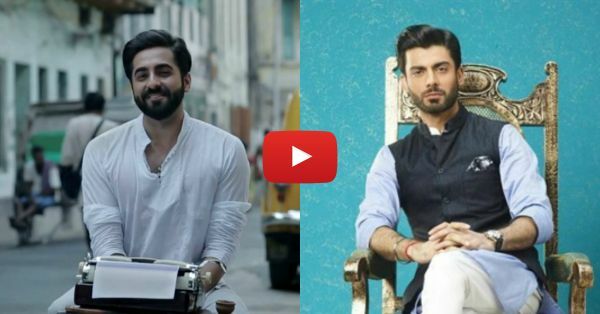 Go, watch this video and you’ll fall in love… (Just like you did when you saw Fawad for the first time in “Khoobsurat”. And then again in “Kapoor & Sons”.) PLUS: Subscribe to POPxo on YouTube for original videos + our favourite videos from around the web! MUST-READ: Meri Pyaari Bindu – This Movie Teaser Is Full Of Surprises! MUST-READ: The Udta Punjab Trailer: Here’s Why You MUST Watch The Movie!